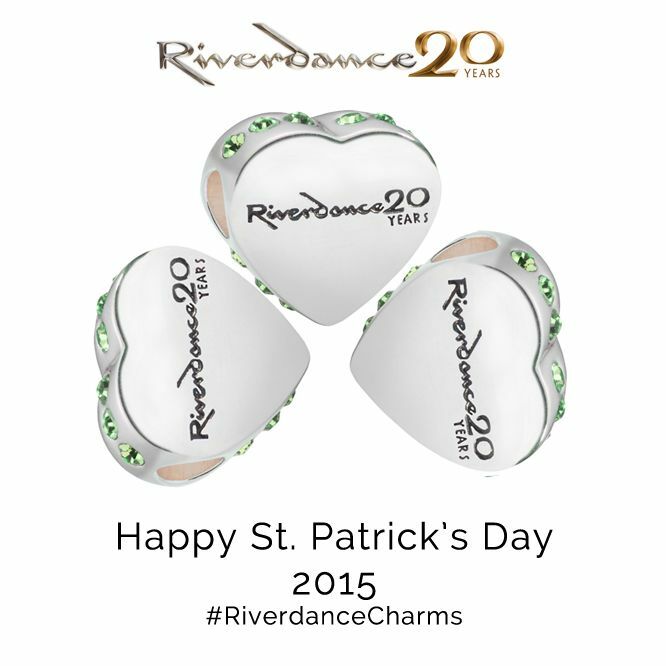 Irish Shopper have added new pieces of jewelry to their Riverdance20 Collection. March 15, 2015 - PRLog -- It is two decades since the show first burst into the public’s heart at the Eurovision Song Contest in Dublin in 1994 and to commemorate its 20 Year anniversary, the International Irish dancing phenomenon Riverdance has designed a range of exquisite charms and charm bracelets. This unique jewelry collection is inspired by the Story of the Riverdance and features a selection of symbolic charms that capture the essence of Irish dance and music allowing you to carry the Spirit of Riverdance with you wherever in the world you may be! A complete range of Official Riverdance Jewelry, including Charm Bracelets, Dancing Shoes, Logo Charms and World Record Dancers Bead with Swarovski Crystals. The Official Riverdance Jewelry celebrating 20years of Riverdance performances around the world.